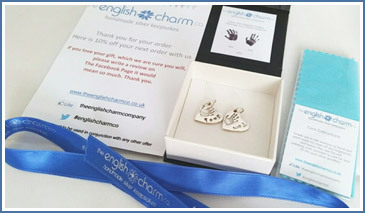 About | English Charm Company | The English Charm Co. 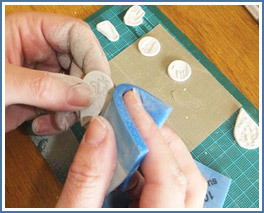 The English Charm Company handcraft pure silver keepsake jewellery and offer 2D and 3D baby and adult life casting of hands and feet. As an independent business, we have the freedom to create new designs and try new techniques to ensure you receive a bespoke keepsake. Each piece is a one off and is tailored to you and your family. The bespoke nature of these products is just adorable which means we love making them. As an independent jeweller, we have the freedom to create jewellery to your exact requirements. We capture a moment in your loved one’s life and turn it into an everlasting memory, a one-off piece you will treasure forever. For us, that is the special part because we know what I do puts a smile on the recipient’s face and even a tear or two! Our aim for every piece is to offer a second to none service, from initial discussions to receiving your finished gift or keepsake. We look forward to making something for you. Trained by the Craft Ecademy and a member of the Keepsake Guild.